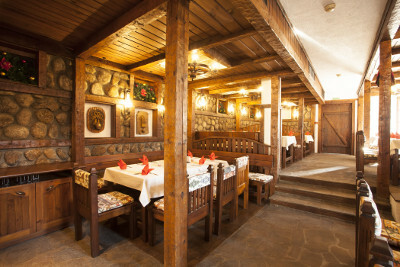 Tanne Hotel in Bansko ski resort, Bulgaria. Four star cozy hotel. 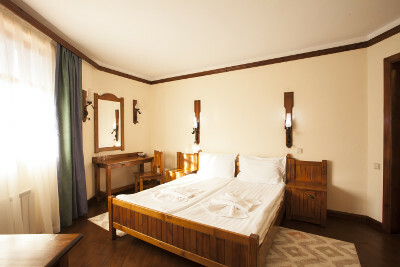 Hotel Tanne is an excellent value for money accommodation option in Bulgaria’s Bansko ski resort. 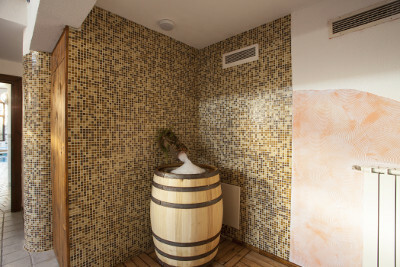 This wood and stone four star hotel is ideally located for skiers and snowboarders being within a five minute walk from the Bansko gondola and a short distance away from the picturesque village center. You can see the exact location of Hotel Tanne on our map below. With stone and hard wood floors Tanne Hotel is built in a stylish, modern style while keeping elements of a traditional rustic mountain hotel. 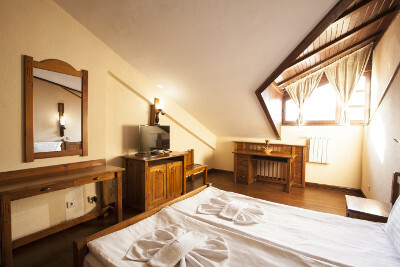 It offer stunning views of the surrounding Pirin, Rhodope and Rila mountains that surround Bansko ski resort. 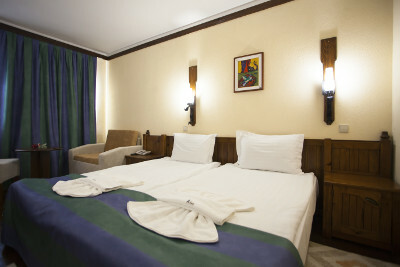 High standards of quality and comfort are the hallmark of ski packages to Bansko with stays at Hotel Tanne. 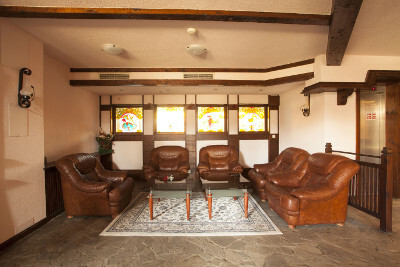 Free WiFi is available at the lobby of the hotel and in most rooms. 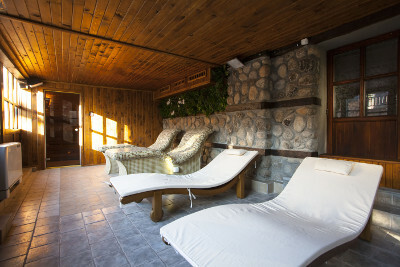 Situated at the footsteps of the World Heritage Pirin area mountains, Tanne Hotel is located on the south part of Bansko, less than one kilometer or a 8 minute walk from the Bansko gondola station. You can see the exact location of the hotel here on our Bansko map. 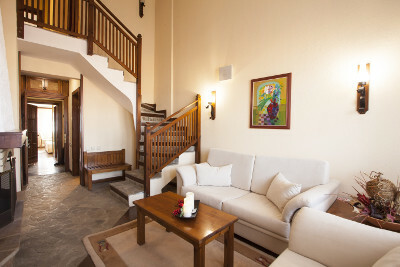 The historic center of the old town of Bansko with its delightful character is a pleasant 15 minutes walk. Transfer time from Sofia airport is around two and a half hours. 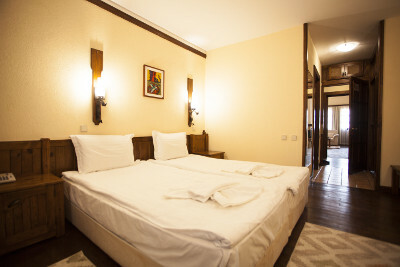 Hotel Tanne offers accommodation in 25 single / double well appointed and good sized rooms, as well as in nine spacious apartments / maisonettes. 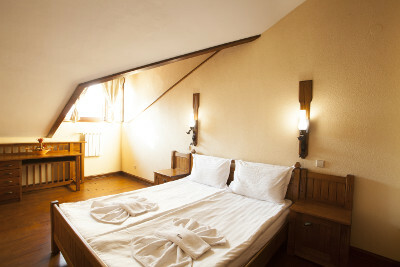 Most of Hotel Tanne’s rooms afford excellent vistas of the surrounding snow capped Pirin, Rila and Rhodope mountains. 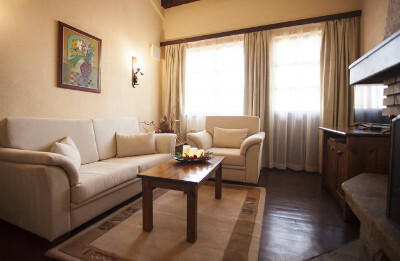 Some of the accommodation units also sport a fire place for an extra cozy feeling. 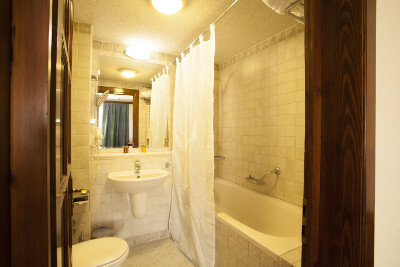 Facilities and services available include bath fitted bathrooms, satellite TV, safe deposit boxes, mini bar, spacious balconies and room service. Free wifi internet is available at the hotel’s lobby and most rooms. 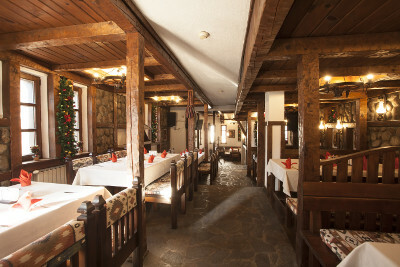 A traditional Mehana (tavern) with an extensive menu and wide selection of Bulgarian wines serves lunch and dinner. A rich buffet breakfast is offered in the stylish Viennese Lounge cafeteria. 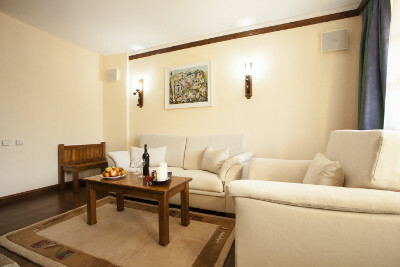 A terraced area next to the lounge offers magnificent views of the Bansko ski runs in the distance. On warmer days the garden area can be a relaxing place to sit and have a beer or coffee enjoying the sun. The wood paneled Lobby Bar is an excellent spot to catch on all televised sports events and enjoy your drink with your friends. 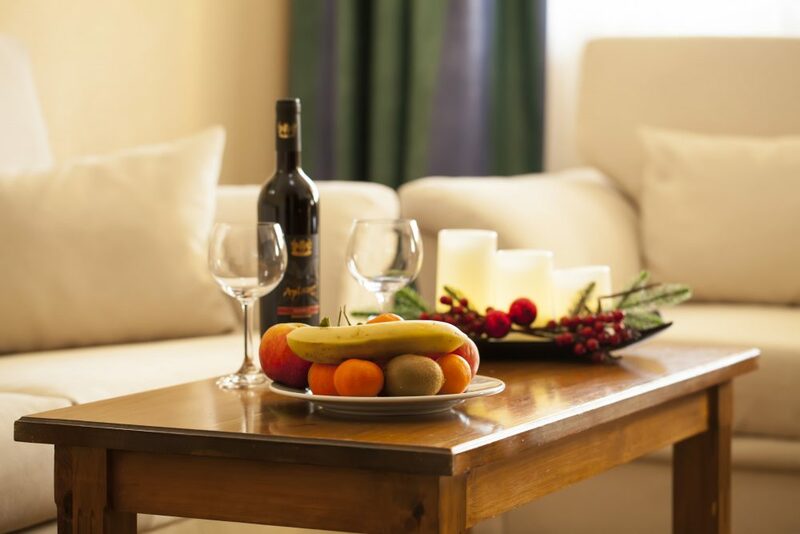 There are also plenty of dining and drinking options within walking distance of the hotel. An indoor, heated, nine by five meters swimming pool is available to hotel guest so they can relax after a long hard day at the ski slopes. 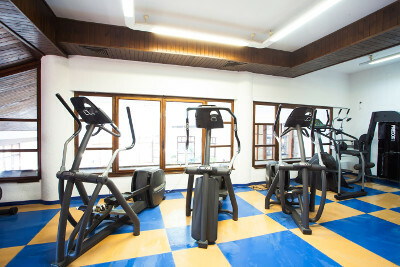 A gym with good quality equipment and an audio visual entertainment system will keep fit and entertained anyone wishing to train there. 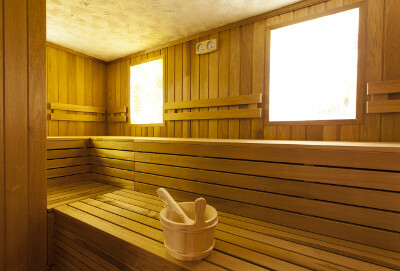 Hotel Tanne’s spa includes a Finnish sauna and a steam bath. All of the previously mentioned facilities are free of charge for hotel guests booking their holidays with Varianos Travel. 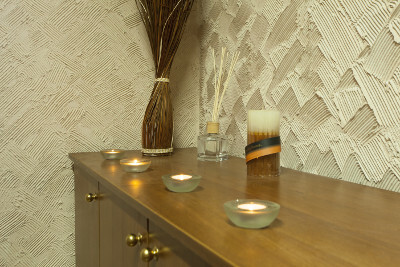 A number of massage therapies and treatments are available daily (except Monday) at very reasonable rates. 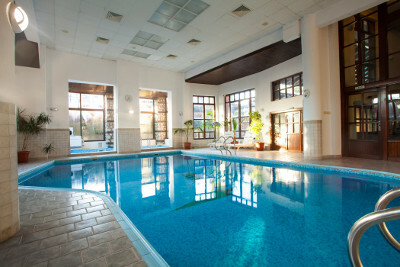 You can see more information on our ski and snowboard packages on our main Bansko holidays page. Call us at our Direct Ski Line (22680500) or email us to get your personalized quote for a ski holiday package with a stay at the four star Tanne Hotel in Bansko, Bulgaria. 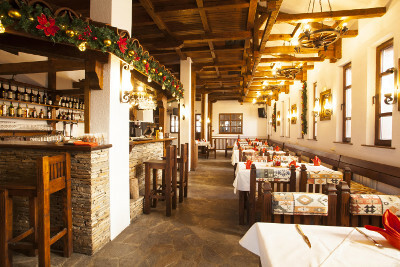 We will be delighted to hear from you and assist you in arranging your ski or snowboard holiday to Bansko. Call us at our Direct Ski Line (22663477) or email us to get your individualized cost of a ski holiday package with a stay at this five star ski in-ski out Bansko hotel. We make skiing holidays easy for you by offering complete travel package solutions. We can arrange flights, transfers between Sofia or Thessaloniki airport and the Tanne hotel in Bansko, accommodation on various meal plans. Contact us!